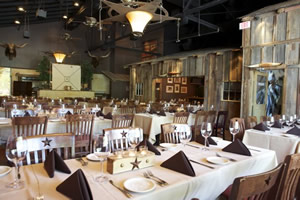 If you are looking for the perfect spot to have a wedding reception in Dallas, we have the perfect place for you. The Y.O. Steakhouse is..
We can’t tell you how proud it makes us when we pull off a great assist on a wedding rehearsal dinner. We’re already pretty proud of our.. The Y.O. Steakhouse is one of the best locations in Dallas to host just about any type of event: meetings, parties, wedding rehearsal..